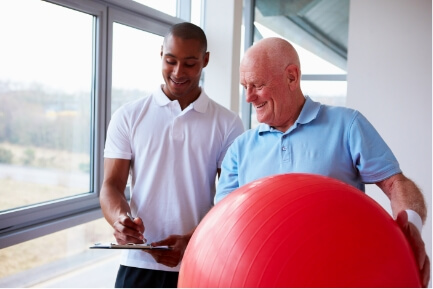 When it comes to the prevention and rehabilitation of injuries, physical therapists have a lot to offer to patients. However, not all physical therapists are alike and many are not best-suited to treat athletes. What distinguishes SP.OR.T.S. from other clinics is the extensive background their clinicians have in athletics. Muscle Imbalances—alteration of muscle length/strength on one side of a joint, causing pain or weakness to muscles on the opposite side. Core Stability Deficits—weakness to the foundational muscles of the body: the muscles of the spine, pelvis, and hips. Poor Neuromuscular Control—an inability to recruit the proper muscles at the right time. Identifying, Correcting, and Preventing Muscle Imbalances—doing so will help maximize athletic performance and prevent future injury. Multi-Planar Training—athletic activity takes place in various planes of motion, yet traditional exercises occur predominately in the sagittal plane (linear motions). Training in multiple planes of movement can decrease injury risk and optimize athletic performance. Core Stability Training—weakness of the core structures results in less efficient movement and poorer athletic performance, while also making an individual more susceptible to injury. Program Design—athletes require a systematic and progressive approach to training. Stabilization training is, without a doubt, the most overlooked aspect. Without adequate stability one cannot obtain optimal levels of strength and power. Should you require a full Physical Therapy Evaluation, we accept most health insurance plans. Since Maryland is a Direct-Access state, you may not need a referral from a physician (depending on your insurance). Our competent front office staff will check your insurance benefits to ensure there are no surprises. Perform a thorough subjective and objective examination to determine possible causes of pain and dysfunction. Administer the Functional Movement Screen (FMS) and sport-specific functional tests in order to establish baseline measurements prior to any conditioning or treatment. Outline a detailed treatment plan that will focus on injury prevention and improved athletic performance. For more information, Contact us at Silver Spring, MD center.